COLUMBIA — Salt City Center converted part of Fourth Street in downtown Columbia to a blacktop basketball court Thursday night, hoping to help students start their semester with a slam dunk. 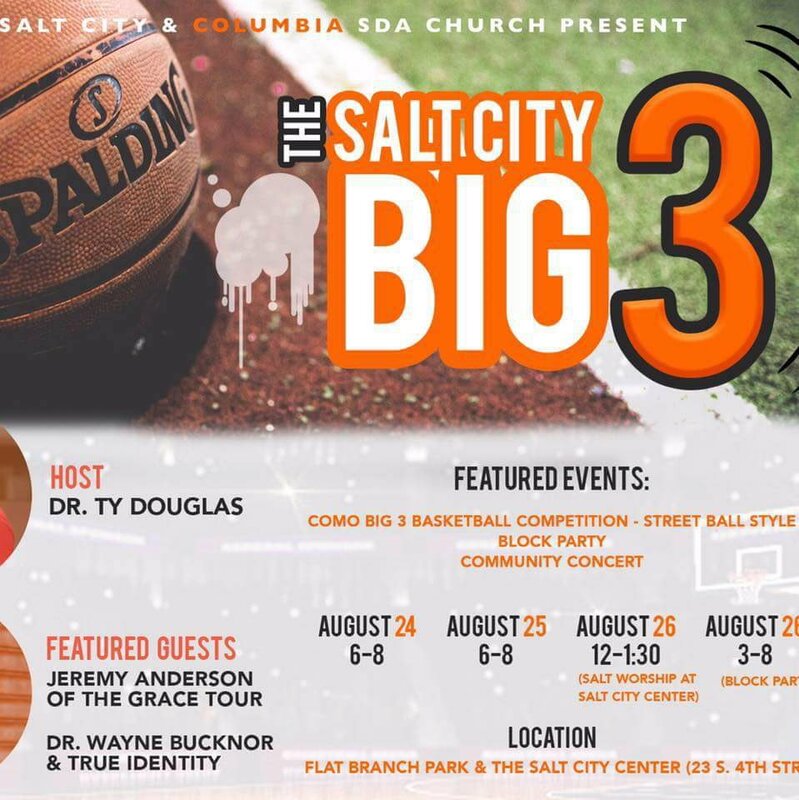 The ‘Back-to-School Explosion’ is a weekend-long event featuring a 3-on-3 basketball tournament, slam dunk and skills competition. Director and event host Dr. Ty Douglas said he hopes that an event on the blacktop will allow students to open up and bridge the gap between community and university. Pastor Scott Claybrook of Legacy Point Church has worked alongside Douglas for the past five years. He said his passion for the youth and communities has made an impact. “Often times there are narratives,” Claybrook said. “But events like these help show the positive that people like Ty are doing in this community." Before tournament tip-off Douglas shared a letter from a former Explosion champion named Darion Polk. Polk was the winner of the inaugural Back-to-School Explosion in 2014, sweeping the skills, 3-point and slam dunk contests. In July 2016, Polk was arrested for robbery and convicted to 12 years in jail. His letter spoke directly to Columbia youth and explosion participants, urging them to find their purpose through faith. "As a church community were excited about people using this opportunity to make decisions for God and for good," said Douglas. "[Polk] is an example we want to show people before it's too late for them." The weekend continues at Flat Branch Park with the 3-on-3 semifinals on Saturday and concludes with a block party and community concert on Sunday.